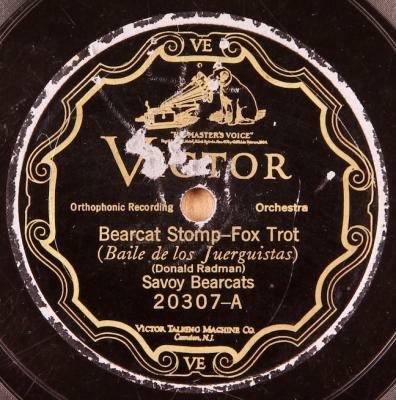 Great scarce hot 20s jazz sides by the Savoy Bearcats, piano by Joe Steele. Condition: V-; Plays very well, loud and strong over moderate to light surface noise, some occasional light distortion. 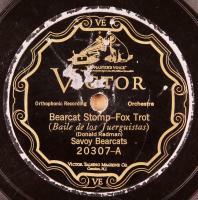 Overall, moderate, even graying of grooves. Light scuffing/rubbing, light scratching, and slight label damage. Small rim chip, not near grooves.